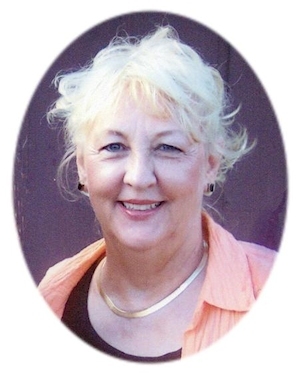 Obituary – Moore, Mary Lois (Stanley) « Perry High School Alumni Association, Inc.
Mary Moore, 65, of Perry, Oklahoma was born to Nathanial “Jack” Stanley and Betty Lois Stanley. She was born on December 5, 1945 in Perry, Oklahoma and died Friday, May 6, 2011 at her home. On September 13, 1963 she married Ernie Moore in Stillwater, Oklahoma. 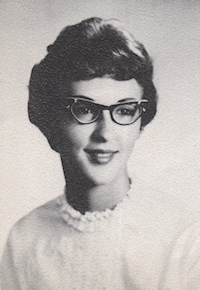 Mary was a 1963 Perry High School graduate. She worked for the county as the Noble County Assessor for several years. She was also the owner of Moore’s Income Tax Service. She enjoyed traveling, spending time with her family and attending her grandchildren’s school events. Mary also loved preparing income tax returns. Funeral services will be 2:00 p.m. Tuesday, May 10, 2011 at the First Baptist Church in Perry, Oklahoma. Rick Rhodes will officiate. Interment will be in Grace Hill Cemetery. Services are under the direction of Brown-Dugger Funeral Home. Mary is survived by her husband Ernie Moore, of the home; one daughter, Vickie Edwards and her husband Scott, of Perry, Oklahoma; one son, Ernest “Dean” Moore, Jr. and his wife Heidi, of Perry, Oklahoma; her mother, Betty Lois Stanley, of Perry, Oklahoma; three sisters, Carolyn Ferguson of Porterville, California, Jackie Stussy and her husband Don, of Bakersfield, California, Barbara Wilson and her husband Garry, of Perry, Oklahoma and five grandchildren, Chris Edwards, Michael Edwards, Shauni Edwards, Austin Moore and Anthony Moore, all of Perry, Oklahoma. She was preceded in death by her father, Jack Stanley.